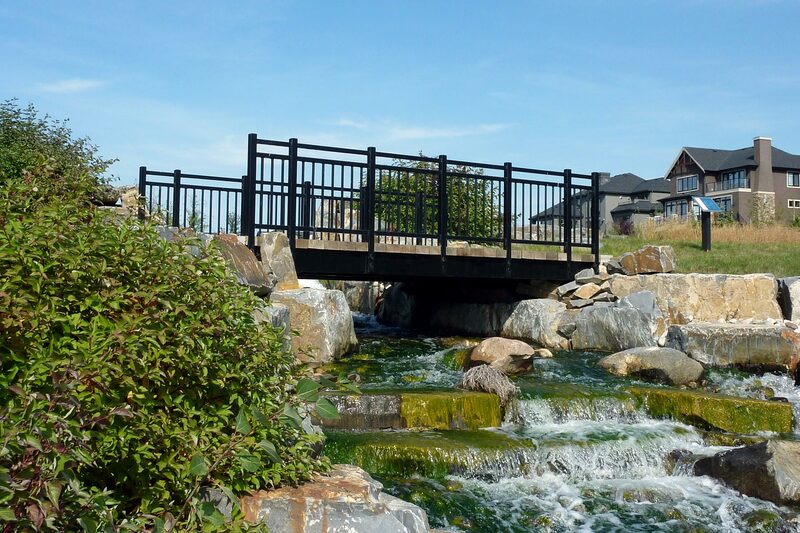 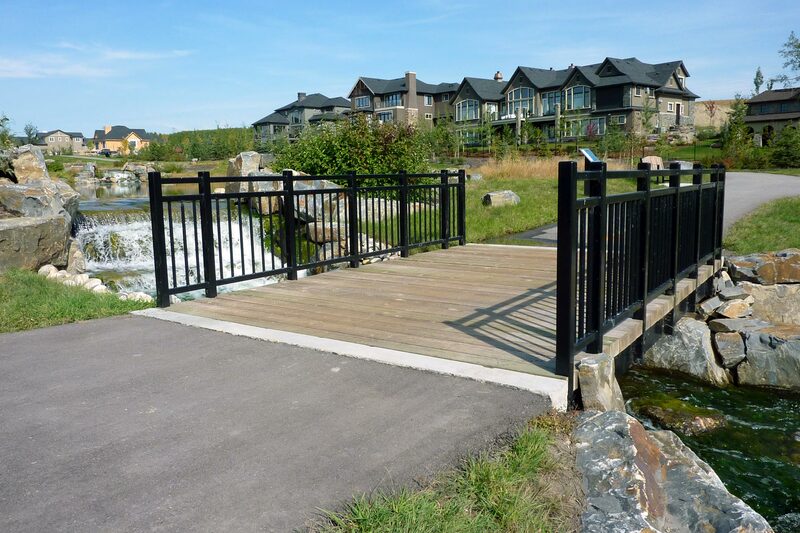 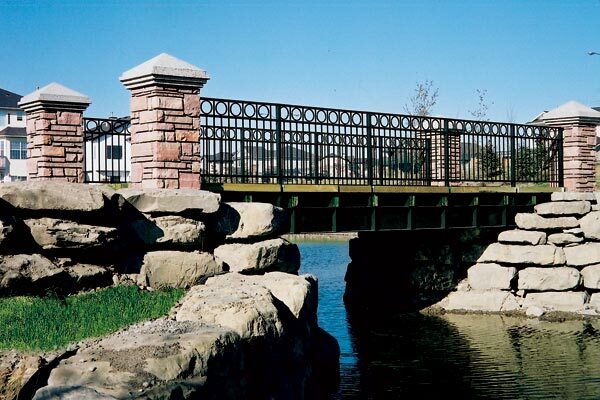 Steel beam construction and ornamental iron rails result in an elegant, long-lasting bridge design that will maintain its integrity under all conditions. The bridge is fully engineered to span large distances. 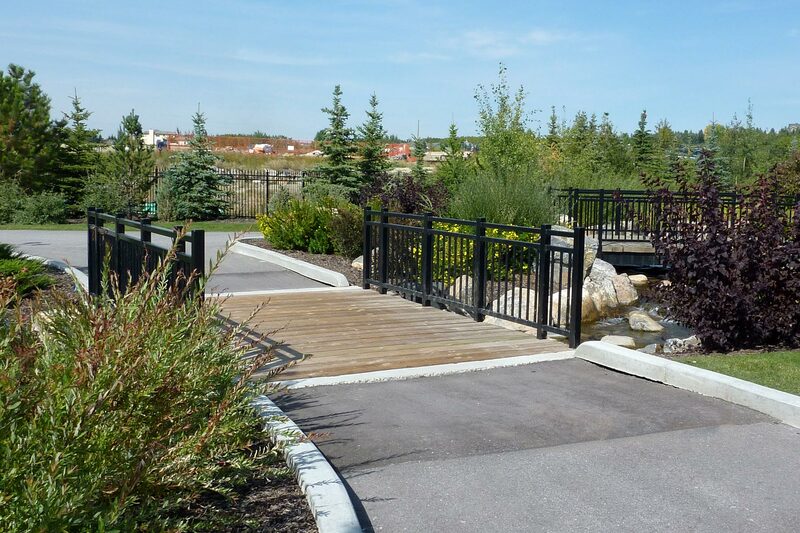 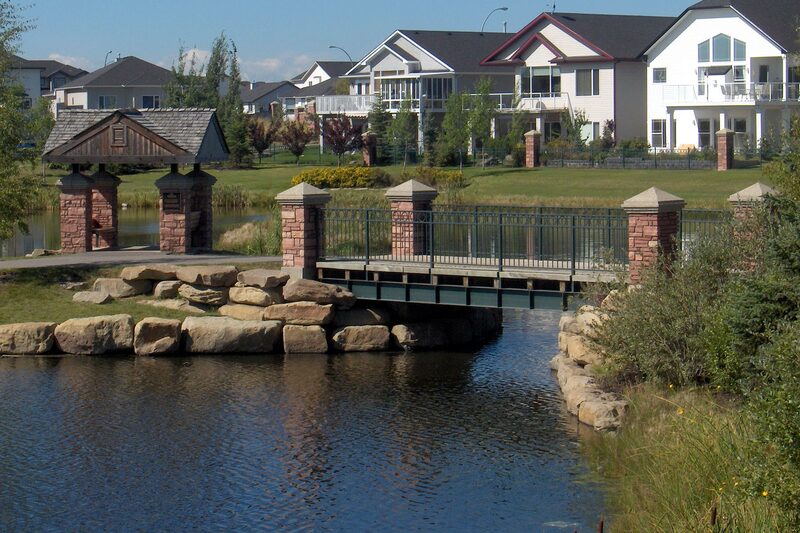 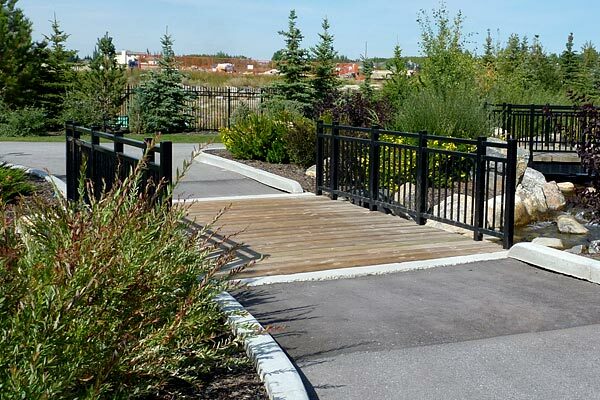 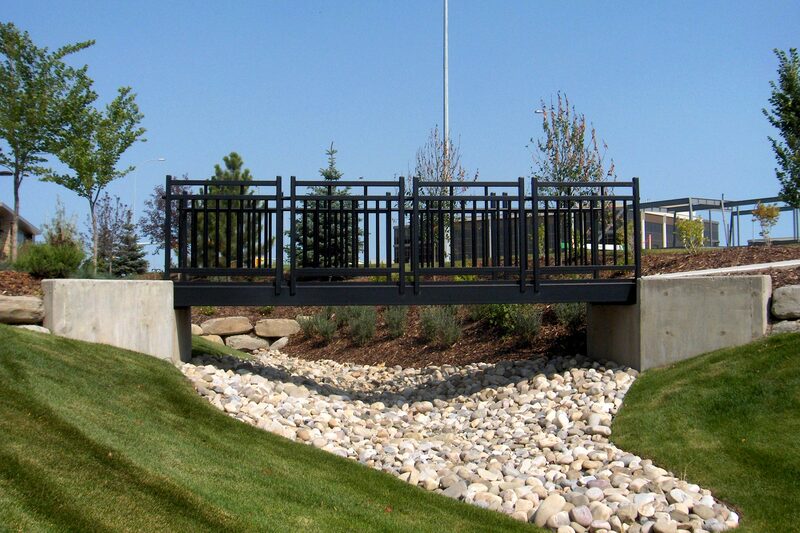 This bridge includes an option to add masonry for added visual appeal to any open space.